The Surfrider Foundation's San Diego County Chapter is offering courses on how to design a sustainable landscape, with upcoming sessions planned for March 16 in Carlsbad and March 19 in Oceanside. SAN DIEGO (CNS) - The Surfrider Foundation's San Diego County Chapter is offering courses on how to design a sustainable landscape, with upcoming sessions planned for March 16 in Carlsbad and March 19 in Oceanside. Urban run-off is the primary source of ocean pollution, and landscapes "can help soak up rainwater, reduce polluted rainwater run-off and prevent water run-off on dry days,'' according to the Surfrider Foundation. 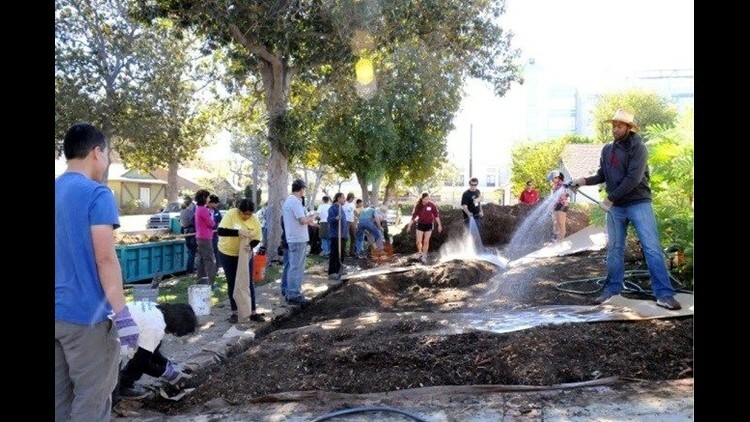 The foundation and contractor G3/Green Gardens Group have teamed with the San Diego County Water Authority, city of San Diego, San Diego County, California American Water and the Association of Compost Producers to promote a "watershed approach'' to landscaping. The watershed approach includes using rainwater as the first source of irrigation, building healthy living soil, choosing climate-appropriate plants and using the most efficient form of supplemental irrigation such as drip. Beginning in May, rebates of $1.75 per square foot of lawn removed and turned into watershed-based landscaping will be available. The training sessions are funded by a grant under the Safe Drinking Water, Water Quality and Supply, Flood Control, River and Coastal Protection Bond Act of 2006, which is administered by the state Department of Water Resources. The sessions will run through June; other locations will be in San Marcos, Balboa Park, Coronado, Rancho Bernardo, Encinitas, Vista and Lakeside. For more information or to register, visit the Watershed Wise Landscape Program website or the Surfrider Foundation website.